Concern with the Most Recent in Psychiatric Research? III: What Shall We Do About Our Concern with the Most Recent in Psychiatric Research? 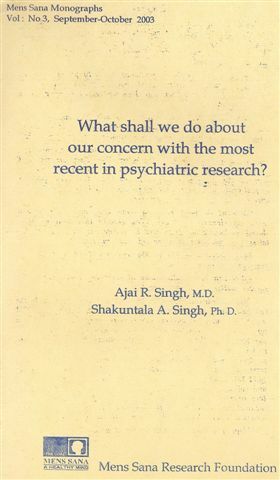 Third Monograph: What Shall We Do About Our Concern With The Most Recent In Psychiatric Research?, Sept.-Oct. 2003. If I have seen further it is by standing on the shoulder of giants.